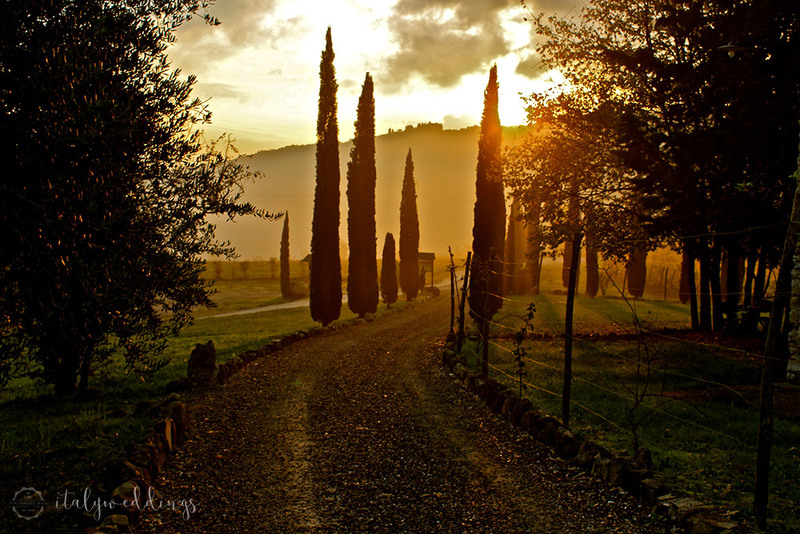 Borgo Torrevecchia is comprised of two main areas – the villa and the “borgo” or converted village. 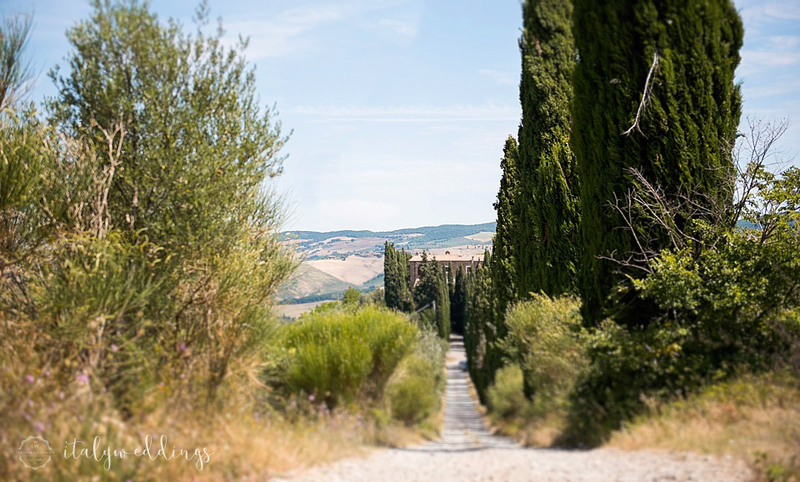 Together, these spaces make a beautiful, compact frame for a short stay and a wedding event – sleeping up to 48 at Torrevecchia and an additional 12 at walking distance. 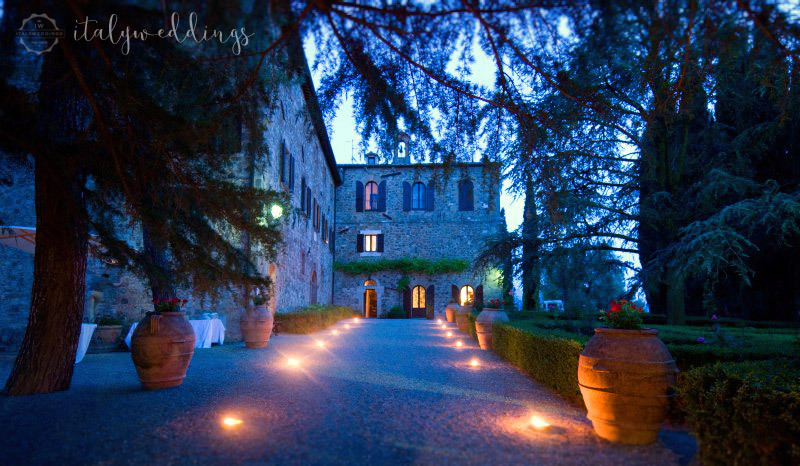 The villa is set in a large Italian-style garden, and dates back to the 11th century, a haven of Genuine, unspoiled atmosphere. 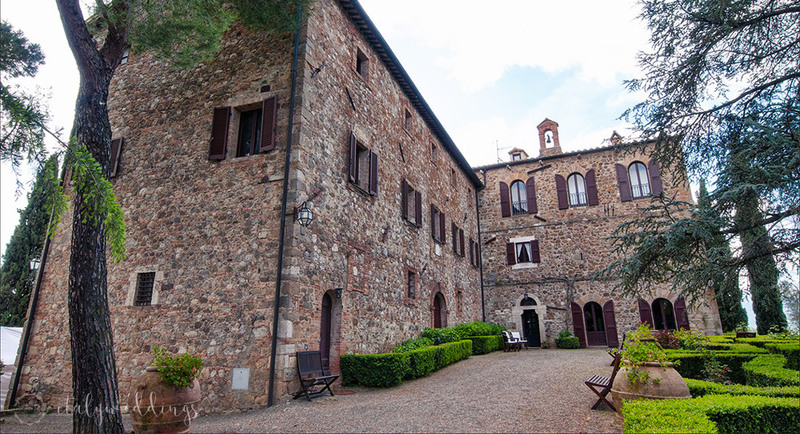 The Borgo is made up of ancient stone farmhouses, whose original architecture and materials are maintained. 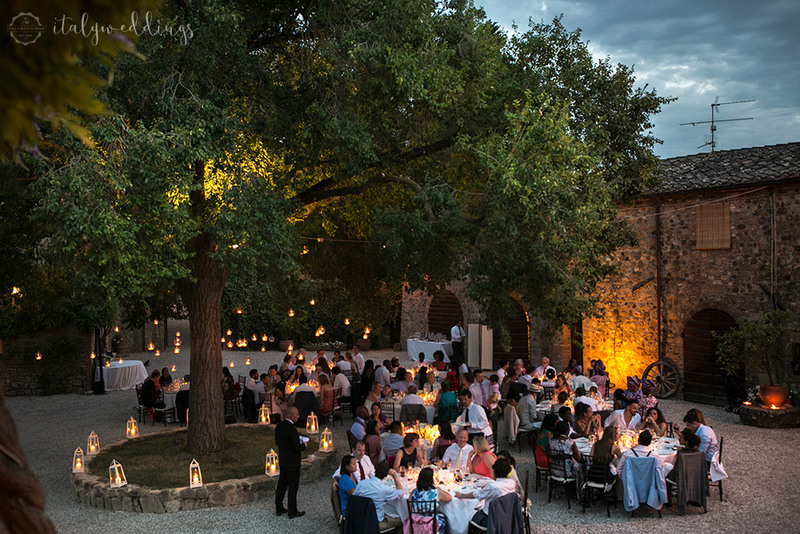 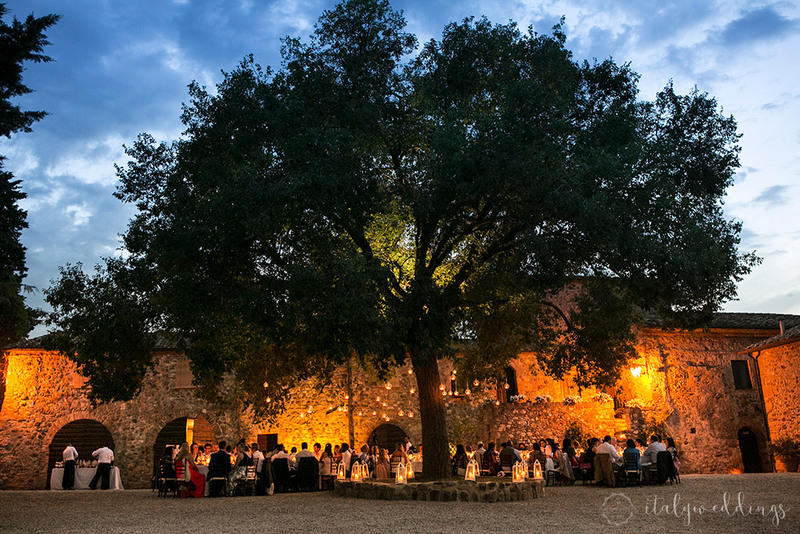 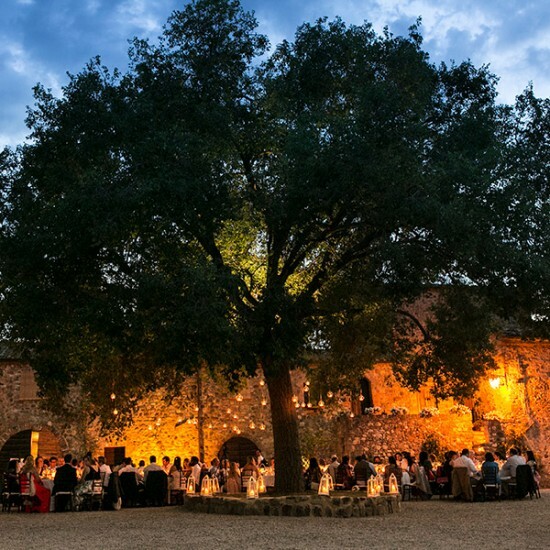 At the center of this scattering of buildings is the main courtyard, with at is center an ancient elm tree: a stunning and romantic setting for a wedding meal, with three sides sheltered by the Tuscan architecture, and the fourth open to the views over the rolling hills. 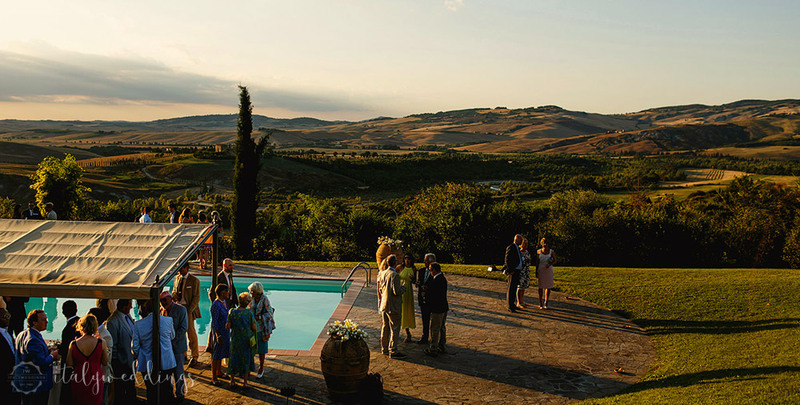 The villa is also home to two pools – a small pool area with bar, close to the borgo for an intimate evening, and a large pool at the bottom end of the converted villa, in a relaxing swathe of lawn, and with amazing views at sunset over the Val’D’Orcia valley. 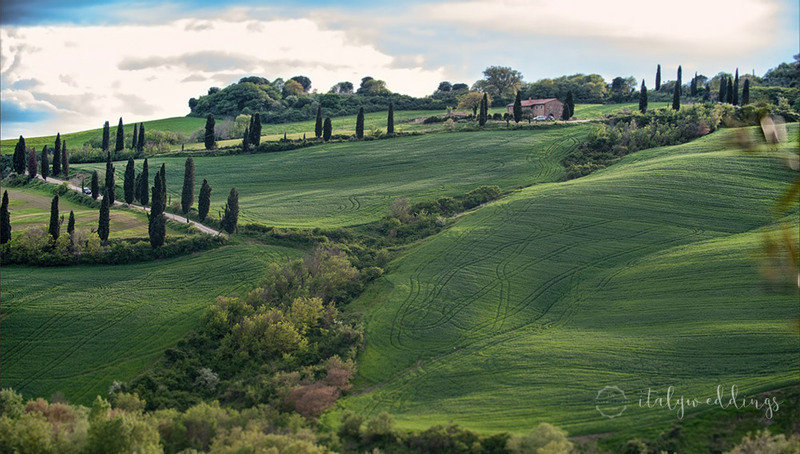 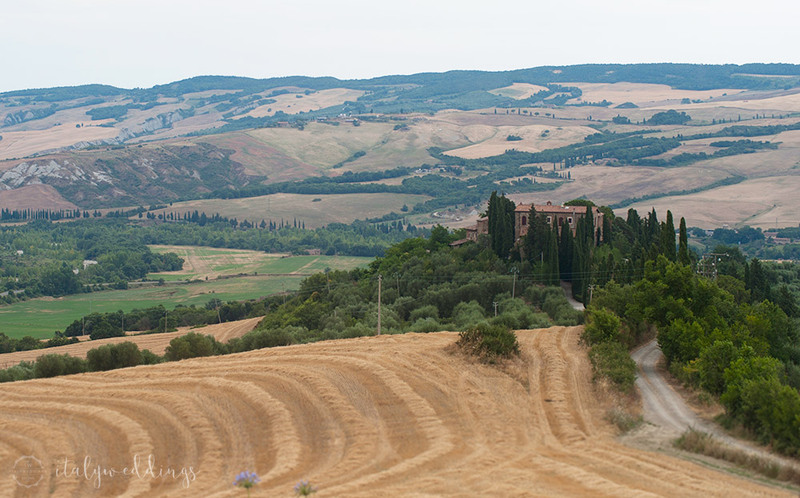 Borgo Torrevecchia is located in one of the most special and unspoiled areas of Tuscany: the Val D’Orcia: a green valley who’s imagery is now iconic in the understanding of Tuscany: winding roads lined with cypress trees, open, rolling grain fields, and hilltop villages. 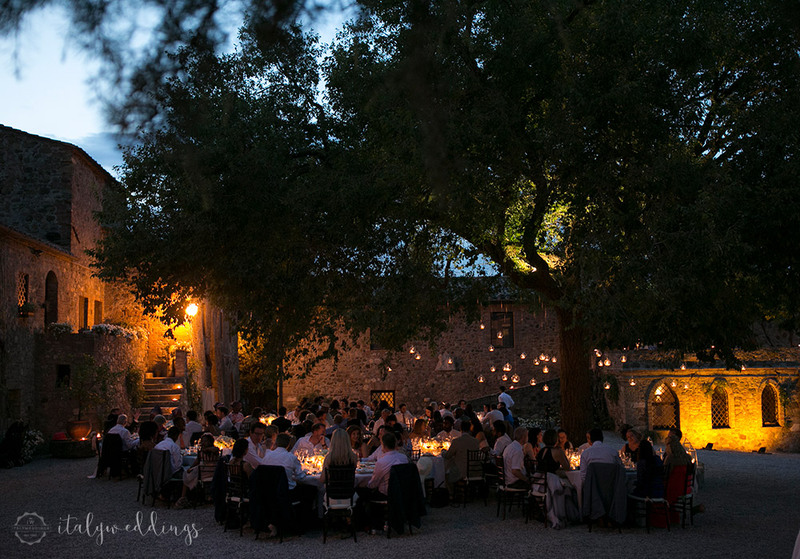 The valley is dotted with large and small medieval villages, some of which can make a wonderful place for a wedding, as well as, of course, site seeing, and wine tasting, and an unforgettable culinary experiences. 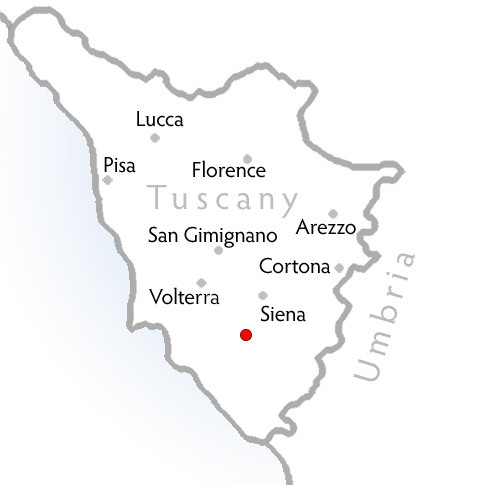 Towns such as Pienza, Montepulciano, and the hot springs at Bagno Vignoni.